Naidu, who began a day-long fast at Andhra Bhavan demanding that the Centre fulfil all promises made during AP's bifurcation in 2014, warned that Modi would be "taught a lesson" if he made personal attacks against the people of his state. "(Former PM) Atal Bihari Vajpayee said 'raj dharma' was not followed in Gujarat (during the 2002 riots). Now, 'raj dharma' is not being followed in case of Andhra Pradesh. We have been denied what was rightfully ours," he claimed. He alleged the central government did grave injustice to Andhra and it would have "repercussions on national unity". "On behalf of five crore people, I am warning this government... I came here to remind you of the promises made in the AP Reorganisation Act," Naidu said. "I am warning you. Don't make personal attacks against me and my people. It's unwarranted. I am just doing my duty as the head of my state. We are only demanding what we were promised," he said. Naidu told the gathering that TDP founder NT Rama Rao had said "if somebody attacks your self-respect, teach them a lesson. So, we will not tolerate. We will give you a befitting answer". The chief minister alleged that Modi was "unfit" to rule the country and that he went to Guntur in Andhra Pradesh "only to rub salt into our wounds". "You think you can avoid us by sitting in Delhi. You're wrong. We will take help of friendly parties and achieve our aim," he said. The TDP chief alleged the BJP government unleashes central investigation agencies on rival parties if they fight for their rights. "The Manmohan Singh government promised special status to Andhra for 10 years. The BJP, which was in the opposition then, had seconded it. Now, their finance minister says it cannot be done," he said. Naidu said the BJP government had promised a special package for backward districts of the state on the lines of the Bundelkhand region, but the "BJP cheated the people". The TDP chief said the party was denied permission to stage a protest on Parliament premises. "So, we came here". 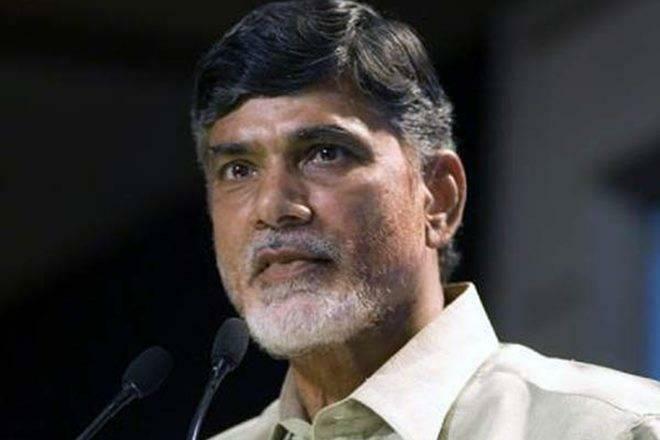 A number of opposition party leaders, including Congress president Rahul Gandhi, National Conference's Farooq Abdullah and Delhi Chief Minister Arvind Kejriwal, are expected to extend support to the Telugu Desam Party (TDP) chief's fast. Before beginning the fast, Naidu offered tributes to Matama Gandhi at Raj Ghat and to B R Ambedkar at Andhra Pradesh Bhavan. A TDP delegation led by Naidu will submit a memorandum to President Ram Nath Kovind on Tuesday, party sources said. Naidu has been trying to unite opposition parties to take on the BJP in the general elections. Over the last three months, he has held a number of meetings with opposition party leaders on forming an anti-BJP front. The TDP had in March last year pulled out of the NDA government over its refusal to grant special status to Andhra Pradesh. The party has been accusing the Narendra Modi government of not releasing enough funds for the Polavaram irrigation project, the Kadapa steel plant and Amravati, the under-construction ultra-modern state capital. জনগণৰ হূদয় কোনে জয় কৰিব?